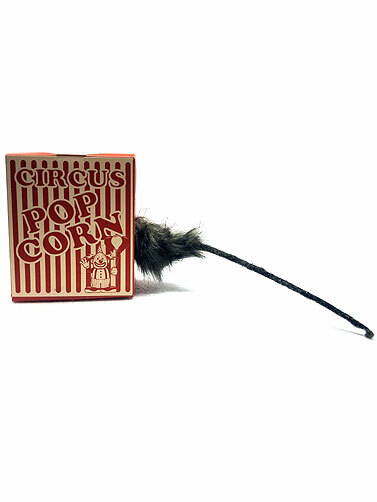 This Animated Popcorn Box with Rats Tail prop will add a scary decoration to a table or floor area in your Halloween carnival display. Paper board popcorn box seems to have a rat lodged inside with only the tail end being visible. Box lights up and makes rat sounds. Uses 3 AG13 watch batteries, included. 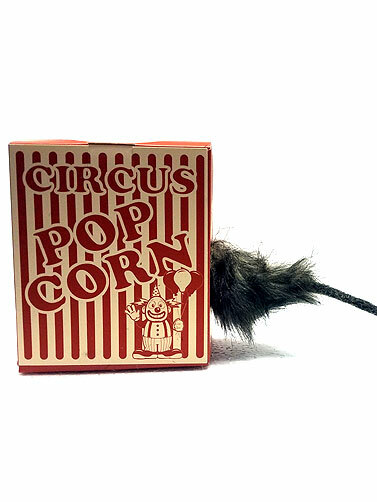 Animated Popcorn Box with Rats Tail measures 8"L x 5"W x 6"H.